The last member of Operation Valkyrie – the daring July 20 1944 plot to assassinate Hitler – tells his remarkable story. July 20 1944. A fearless group of German officers attempted to act against the horrors of Nazism and put an end to the war by killing Adolf Hitler. But Operation Valkyrie failed, and one by one the plotters were found out, tortured and executed. Philipp von Boeselager – who supplied the explosives that would rip through the Führer’s bunker – miraculously escaped death. 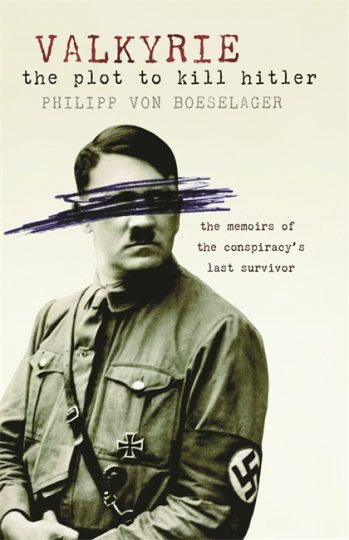 In this unique memoir Philipp tells his extraordinary life story and the part he played in this, and three other dramatic attempts on Hitler’s life. He recounts how a small band of resisters dared to stop evil and prevent profound loss of lives. Ultimately they failed but the legacy of their courage endures.